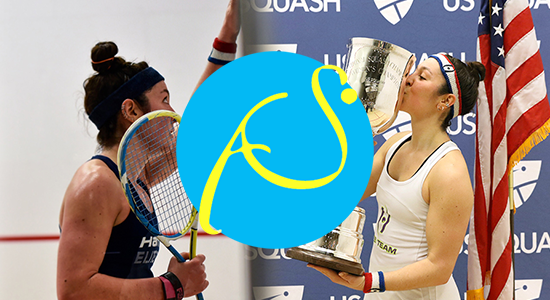 Amanda Sobhy continued her strong return from injury with victory in the final of the Novum Energy Texas Open Women’s Squash Championship. The World No.18, who suffered an Achilles injury a year ago which saw her ranking fall out of the top ten, defeated fellow American Reeham Sedky 11-8 10-12 11-8 11-9 in the first all-American final in Houston. Qualifier Sedky had enjoyed an impressive tournament, knocking out top seed Hania El Hammamy in round one and then backed this up with wins over number seven seed Danielle Letourneau and number four seed Mayar Hany. Sobhy, meanwhile, had only dropped one game en route to the final as she dispatched Finland’s Emilia Soini, Egypt’s Rowan Elaraby and Nada Abbas. Sobhy took the opening game before Sedky battled back to level the scores in the second on the tie-break. However, she could not hold off her compatriot who completed a 3-1 victory in 47 minutes.